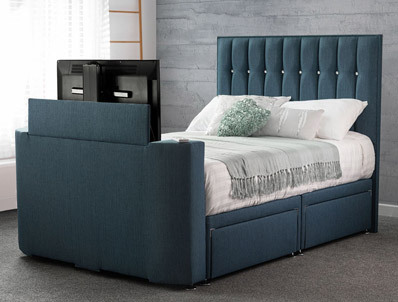 The Vision Spakle is the Only buttomed headboard Tv Bed Frame that comes with a side opening ottoman storage base . Because this bed is made in the united Kingdom by Sweet Dreams it is available in a wide range of Fabrics such as Black & brown faux leather and crush velvet fabrics . This new style bed frrame offers a remote control end lift television mechanism that can take a television up to 32" in diameter and 8cm deep. 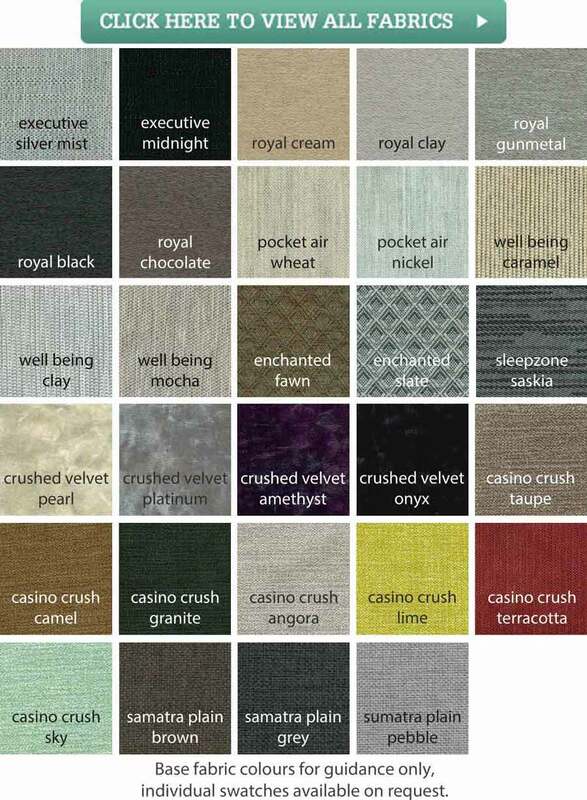 The Vision sparkle can also be supplied with plain buttons in the headboard or diamante buttons . The Side opening lift up ottoman base giving you lots of storage in the base for clothes and that all important dvd player of games console. The bed frame can be delivered in 5-7 working days for home self assembly. The television and mattress is not included.